How do you make furniture for your dolls if you are not allowed to buy any from a store. Well if you are an unschooler you google it and find a video on YouTube just like Huggs did. She not only found “How To” video oh how to make these bed she talked her Grandpa and Granny into helping her. attended a wedding, and visited with lots of family while we were there. We had a lot of fun catching up with family, shooting the bow and arrow, shooting fireworks, playing in the water and eating cake! To get started making her Monster High beds she came up with a list of supplies, cost that she wanted to spend and we headed to the craft store. Once her and Grandpa had all the supplies they watched the youtube video several times and got to work. After she finished she got to work on side tables, miniature beds, and miniature chairs and books for her animals. I must say the end result was very impressive and will be played with more and loved more than a store-bought bed. This is why I love Unschooling and love what we are teaching our kids. Unschooled/homeschooled kids are learning to be independent, creative, and inquisitive young adults. 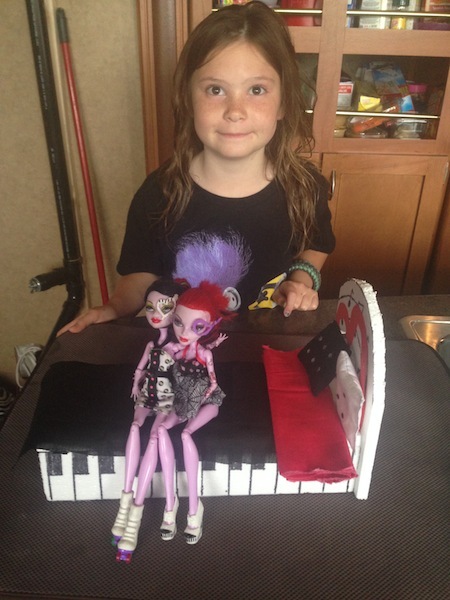 She came up with an idea, figured out how to accomplish her idea and then followed though and made an amazing pieces of furniture, chairs, pillows, books and sleeping bag for her monster High Dolls and animals. 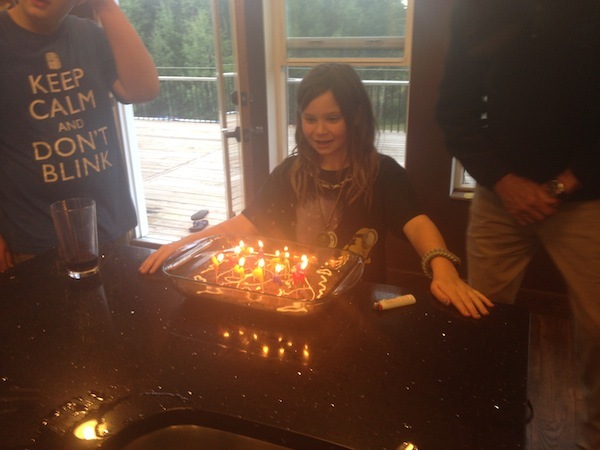 This entry was posted in Art/Music, Unschooling and tagged birthday, design, furniture, how to, monster high, videos by Chrissie. Bookmark the permalink.